After clear explanation by James, Alex and "Mr. Orange", we start to social around to exchange BlackBerry Messenger contacts. It is super interesting as we can add friend contact by scanning the unique barcode for each user! Of course, unlimited scanning and adding contact. What does DiGi Blackberry Unlimited means to me?? 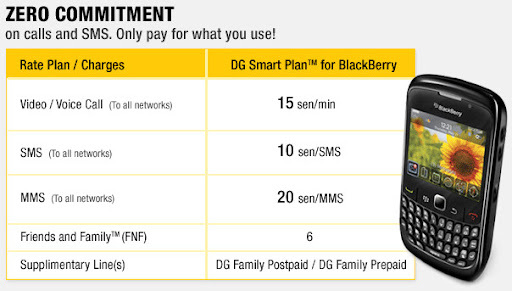 With DiGi BlackBerry 8520 Smart plan that cost us only RM58/month, we will able to have UNLIMITED Email, UNLIMITED Instant Messaging(WLM, BB Messenger, Yahoo Messenger), UNLIMITED Social Networking (Facebook, myspace, Flickr) and also UNLIMITED Web Browsing~! Imagine when you are using the internet at home with your huge Desktop PC, you will need to stick to that place with limited mobility! But now, I am not limited anymore to be on Facebook, read email, and chat with friends anytime anywhere with the small smart phone. Get 25% once your billed usage between Rm100 and RM199.99; Get your BlackBerry Unlimited Plan[RM58/month] FREE when exceed RM200. How good was that? It means you can surf the internet UNLIMITED for free~! For people who are interested, please visit DiGi Website and sign-up now at any of these outlets. Click Here. 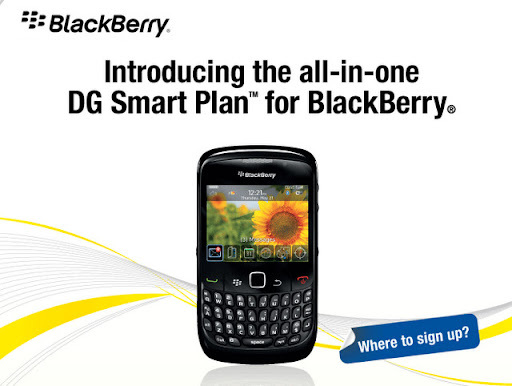 Pssst....do you know DiGi BlackBerry Bold 9700 plan is coming soon~?! If you are a twitter user, do follow @DiGi_Telco and join their FB page for the "Be Berrified with DiGi" photo upload contest and win the BlackBerry Curve 8520! Wow! I wan that BB!!!!! Don't worry, I guess you will get urs soon enough~! Yeah, especially unlimited time online for email and social network~! Wooo.... I see BB almost everywhere... @@"
It is BB Frenzy nationwide!! God I feel so left out without it... Hur Hur.. 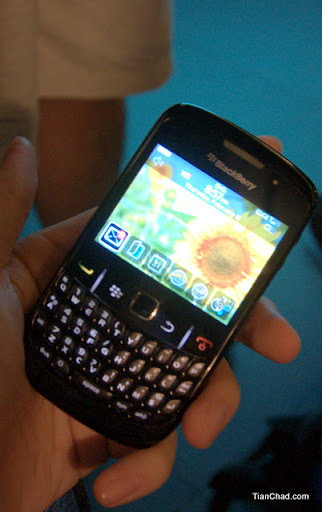 It is BB trend now I guess due to its unlimited all time connected to internet especially for emails~! wah,congratz..advertorial job for u....keep up a good work.. I used to disable word verification. But these day there are a lot automatic comment bots interfere my blog. That's why. Ah, I miss reading Tweets anywhere I go.